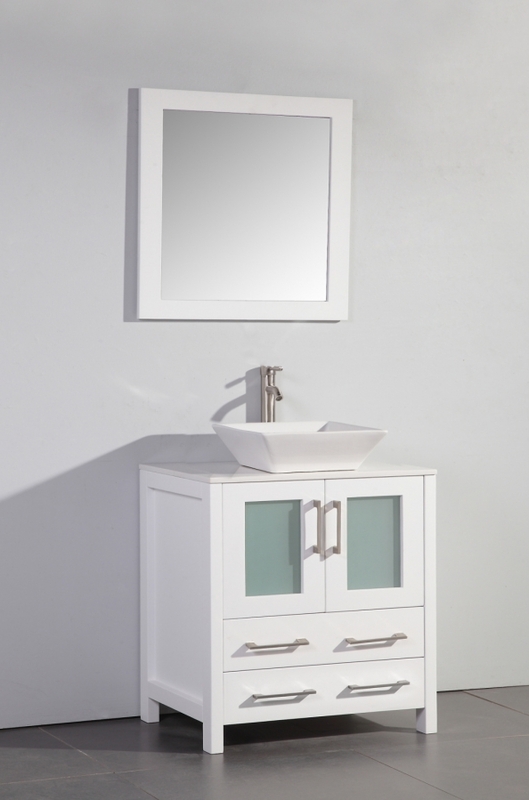 The modern updated look of this single sink vanity will be a welcomed addition to many types of room décor and a great source of helpful functionality. 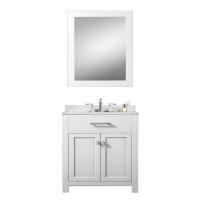 The white finish of the base of this model is accented by the brushed nickel hardware pulls and the frosted panel insert of the cabinet doors. The white ceramic material of the vessel sink is a nice complement and the tapered sides of the basin add to the updated look of the piece. 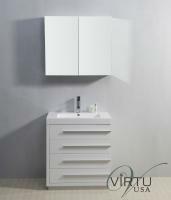 There is plenty of room for storing bathroom essentials within the double door cabinet and two drawers at the bottom. A mirror with a matching frame completes the look and adds even more functionality for personal viewing.